What is an ACH Payment? We are an ACH Payment Processing providers, short for Automated Clearing House, is an electronic payment solution. ACH enables merchants to deduct funds directly from customer bank accounts. ACH transactions save time and money because, unlike credit card transactions, there are no interchange fees involved. Additionally, the customer and merchant do not exchange any documents or check numbers. The customer provides preauthorized written, verbal or electronic permission for the merchant to process the check. 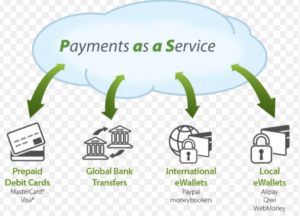 Through a batch file transmission, a payment gateway or a virtual terminal, the check is converted into an ACH transaction and it is submitted to the merchant’s payment processor. The merchant’s check processor sends the ACH transaction to the customer’s bank and checking account to debit the approved funds. An ACH payment usually takes between 3-7 days to clear. However, NACHA, the Electronic Payments Association, is making changes leading to same-day ACH payments. The inner workings of an ACH transfer may appear complicated, but it is simply the process of debiting money from the customer bank. Faster, hassle free option than paper checks. It is a cost-effective alternative payment solution for e-commerce businesses. Eliminates the need for envelopes and postage. Enables for automatic recurring billing and payments. ACH connects nearly every bank and financial institution in the country. Secure, reliable electronic payments system. Checks and credit cards can be stolen. Check debit/credit and savings accounts electronically. Virtual Check allows merchants to enter their customer’s bank account information into a checkout page, virtual terminal, Web API or a batch upload to collect funds. Once transactions are submitted, they will be verified to make sure the consumer bank accounts are valid. If the check does not get declined through the authentication process, the checks are turned into a remotely created check (RCC) and then printed out into a demand draft. The processor will then take the demand draft(s) to the merchant’s bank account for deposit. ICL provides a viable check solution that operates outside of NACHA guidelines but with the same time frame to capture debits. Merchants to create a virtual check – an Image Cash Letter – using a customer’s bank account information. This virtual check can be verified, at the request of the merchant, against eSecurePay’s check verification system. Once verified, we provide the depository bank with the appropriate transaction information. Check 21 is the method of creating a scanned version of a paper check to submit as payment. Once the check is scanned, it follows the path of a physical check: The image processed at the Federal Banking System, and once approved, the customer’s checking account is debited. The funds are then transferred to the merchant’s account.